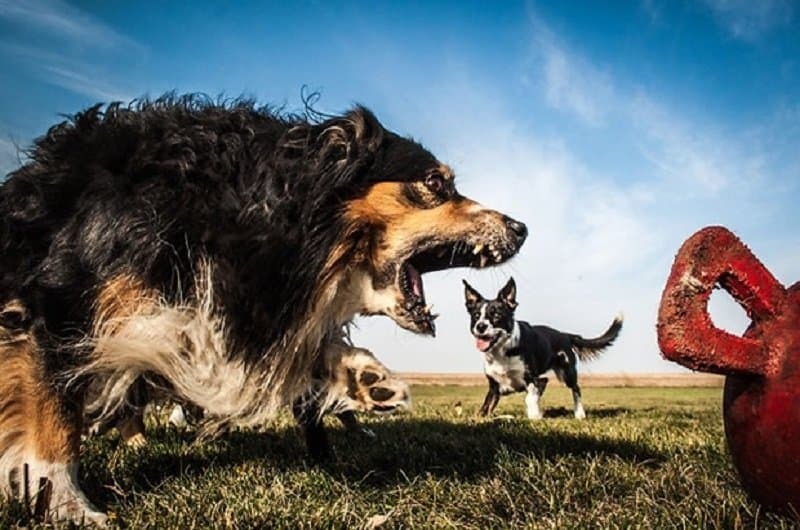 Sometimes it’s a complete coincidence, sometimes it happens by mistake and sometimes it’s really in the the ability of the photographer to capture a perfectly timed photo that shows a really distorted view of the reality, in a slightly different way than how it actually is. 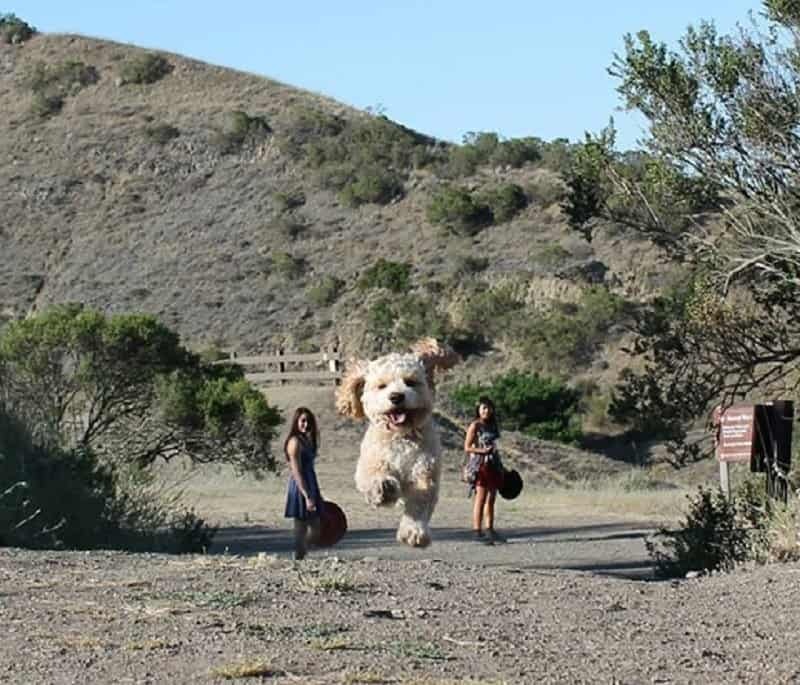 The following ten perfectly timed photos turned dogs into giants and are a great example of just how tricky photography can be when looked at without having any additional context. 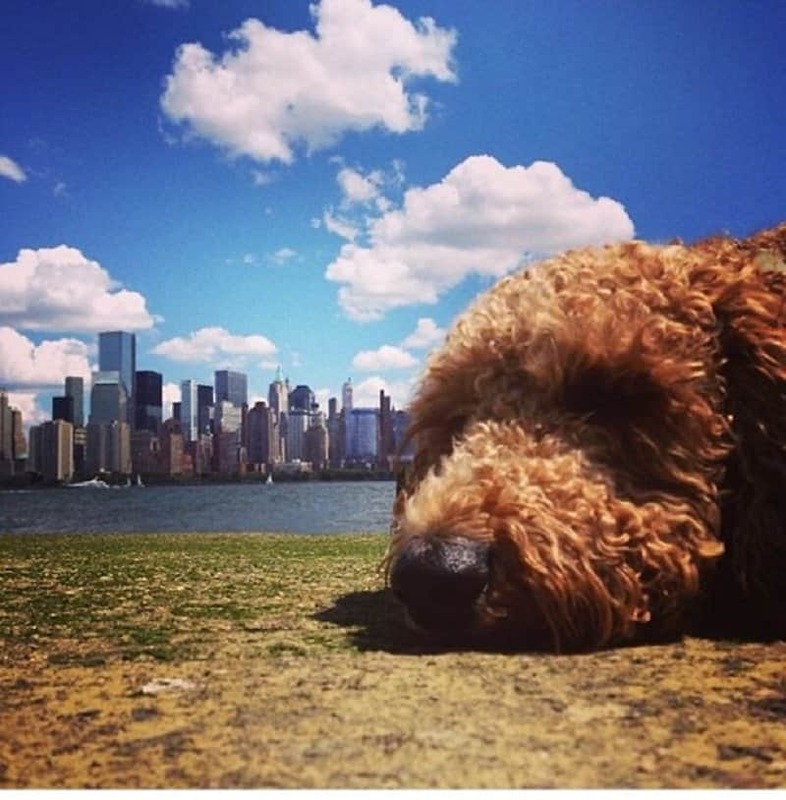 The photos will make your day that much better and will also want to test your photographic abilities and make your dog jump as high as it goes. We must admit, we kind of want this photo to be a real thing. The dog owns the people and not the other way around. 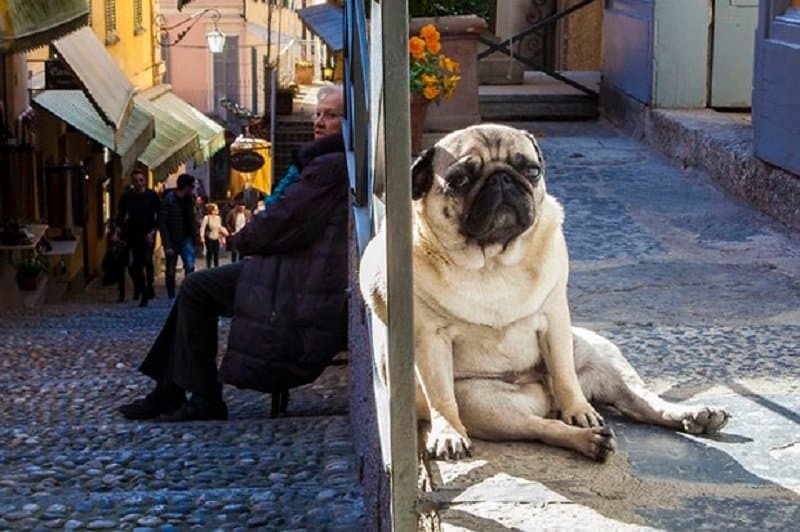 This dog isn’t pleased with the situation. 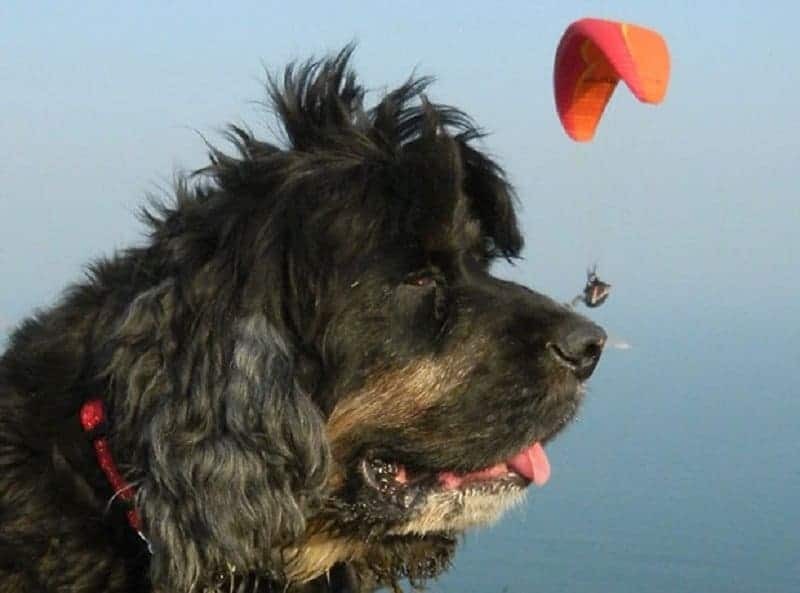 This dog is about to eat that para glider. 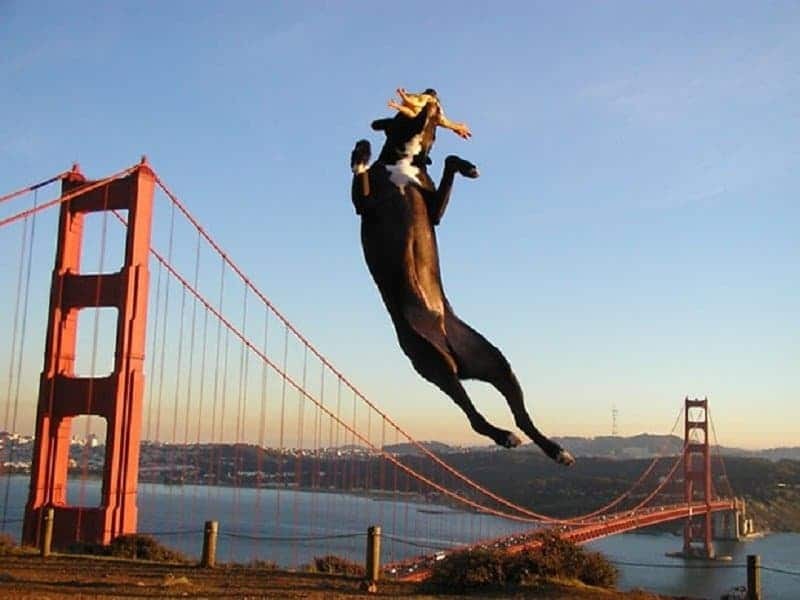 While this dog is not only able to jump over the San Fran bridge, but can also eat a human. 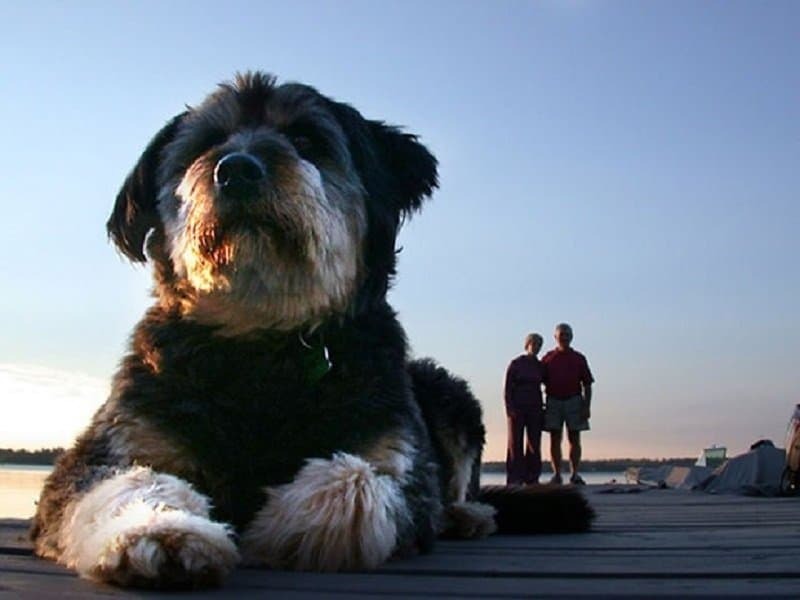 Not only is this dog incredibly grumpy, it is also incredibly big. 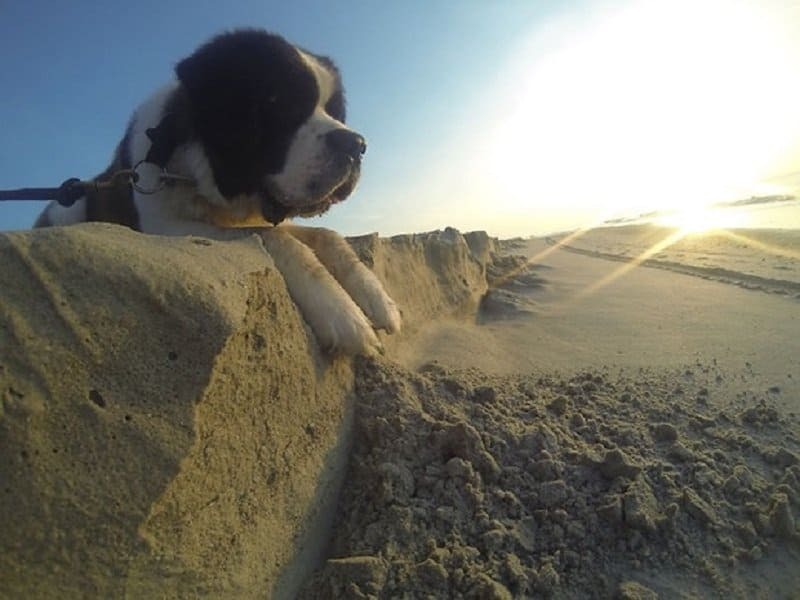 This dog is so big, it’s bigger than the desert. 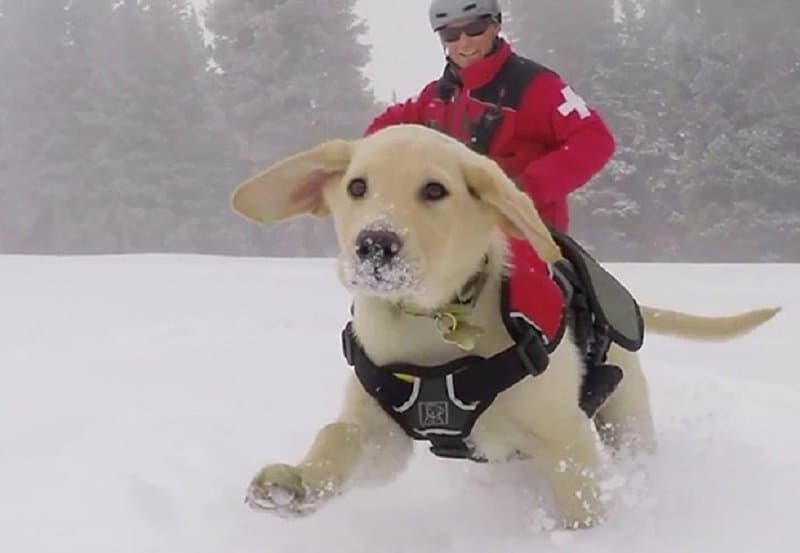 The snow rescue really do grow big. 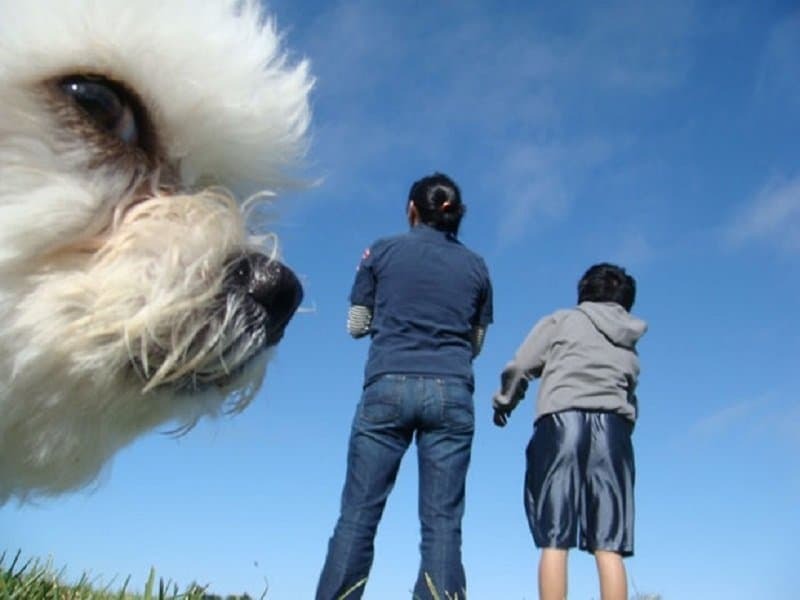 This dog enjoys photobombing people more than anything else in the world. So big he’s even bigger than the New York City skyline.